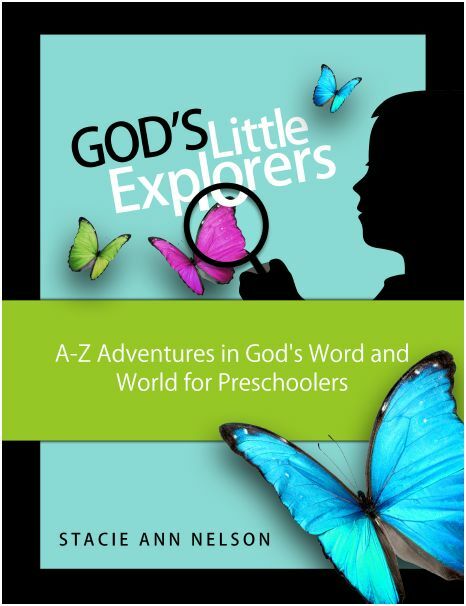 Kids Activities, Crafts, Cooking + Homeschool Mom Stuff + Christian Fitness, Too! This is book two of our 12 Books of Christmas: Crafts & Activities for Kids series. If you ever need a simple, quick activity for kids on a stuck-indoors-kind-of-day, marshmallow sculptures fit the bill! The activity can be as open-ended as you like. Usually, I just give the kids a bag of marshmallows and a box of toothpicks and let them go. It’s always interesting to see what they build, and sometimes, they have made super elaborate sculptures! I decided for our 12 Books of Christmas activity to give them a little more direction and an actual building project. First, we read God Gave Us Christmas. This book is great for little ones, and even my 2nd and 3rd graders enjoyed it. The 6th grader…well, not so much, but she was interested in the project at least! Jesus is the best present of all. After reading the book, I gave the girls marshmallows and toothpicks and asked them to make a star to go along with God Gave Us Christmas. I had the girls grab a handful of marshmallows and toothpicks to get started. How can you make a star? How big will you make it? How many toothpicks will you use? How many marshmallows do you think you’ll need? When my youngest daughter got stuck, I had her draw a star and look for the triangles. Building triangles first seemed to be a good strategy for her. It was so interesting to see the different marshmallow sculptures they came up with! Here is my oldest daughter’s star. Here is yet another kind of star. Then, I decided to make a 3-D version! After we built our star marshmallow sculptures, they wanted to make some other Christmas-themed sculptures. One daughter made this Christmas tree. My middle daughter decided to attempt a nativity! Can you see it in there? There is a stable with a star on it, Baby Jesus in the manger, Mary & Joseph beside the manger, and a donkey. I hope you’ll give the Marshmallow Sculptures a try. Not only is it a great open-ended project that involve lots of problem-solving and spatial awareness skills, but it’s just plain fun! Find the rest of our 12 Books of Christmas Crafts & Activities. Get my weekly newsletter with the latest kids crafts, activities, cooking, mom stuff, and more. Get weekly newsletters with the latest kids activities, crafts, cooking, and mom stuff--fitness & faith, wellness, simplicity, and more! Get my weekly newsletter with the latest kids activities, crafts, cooking, mom stuff, and free printables!